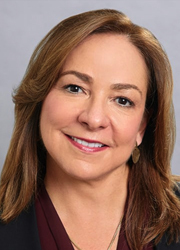 July 19, 2012–Marta Fernandez, Co-Chair of JMBM’s Labor & Employment Department and Labor Chair of the Firm’s Global Hospitality Group®, has been recognized as one of the Top 75 Labor and Employment Lawyers by the Daily Journal, California’s largest legal newspaper. Marta has more than 25 years of experience advising management clients in all aspects of labor and employment law. Her clients include multi-national corporations in health care, hospitality, transportation, retail, banking and other service industries, and she specializes in labor-management relations, collective bargaining and union representation, and wage-and-hour disputes. Recently, Marta led a litigation team that defeated a motion for class certification in a wage-and-hour lawsuit against Hoag Memorial Hospital Presbyterian, the first time certification has been denied in California in this type of case. She also negotiated a new three-year agreement with the SEIU-UHW for the Daughters of Charity Health System, covering 2,600 employees in six DCHS hospitals in California. JMBM’s Labor & Employment Department provides general advice and counseling in all labor and employment areas, working with clients to avoid workplace problems and handling hundreds of jury trials, administrative trials and appeals before courts and administrative agencies nationwide. Each of our lawyers works closely and personally with employer clients to develop proactive compliance and dispute resolution strategies. We work with clients to help them avoid workplace problems, but where controversy is unavoidable, we have handled literally hundreds of jury trials, administrative trials and appeals before courts and administrative agencies nationwide. For more information, visit www.jmbm.com.